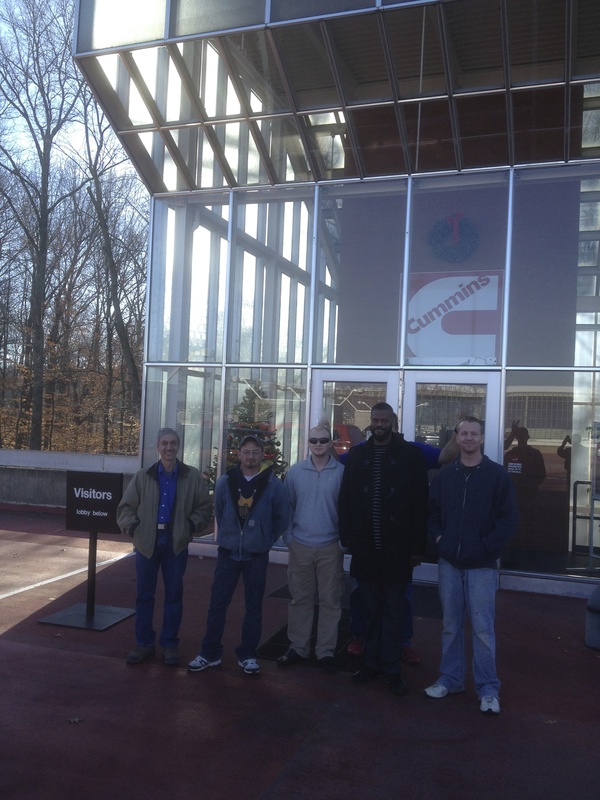 Key employees from Thursday Pools visited Cummins MidRange Engine Plant as a part of our benchmarking activities. The employees looked for best practices in the areas of safety, quality and productivity. Several items were observed which will be applied to the Thursday Pools Operating System (TPOS). Operator cross-training was discussed as a way of continuous improvement in the area of quality. Principal Bill Khamis was impressed with the plant floor organization examples which mimic current stations in the Thursday Pools production area. An additional stop was made in Columbus at Bradbury’s Waterin’ Hole, one of Thursday Pools dealers. Ray Bradbury and Roy West received the group and welcomed us with open arms. The Waterin’ Hole is an impressive dealership, with a broad array of spas, outdoor furniture, grills, fireplaces and models of the Thursday Pools product line. Our thanks to Ray and Roy for their hospitality and we look forward to a great pool season in 2013.